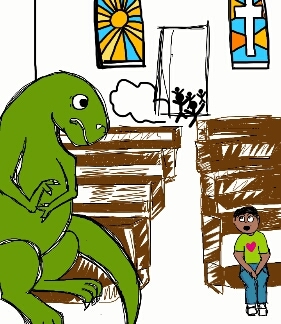 When Tom realized that he was the only t-rex in the whole church he started to feel *really* awkward. "The church is ours!" 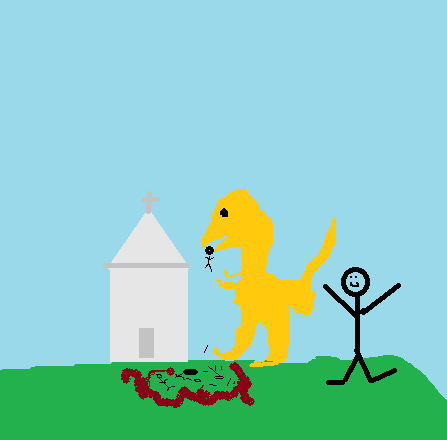 shouts Billy after his pet T-Rex just ate all the parishioners. A dinosaur nanny arranges sleeping children in the church's front yard. 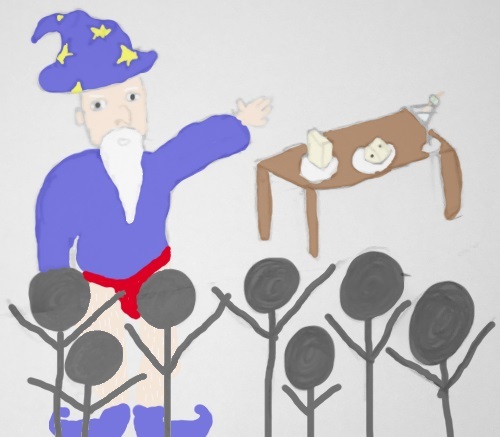 Merlin is wearing a speedo while displaying his cheese and martini, as his stick figure fans cheer. "Today we will be discussing the magic of cheese and martinis!" Speedo Wizard announced to his adoring fans.